Full-plate daguerreotype attributed to Jeremiah Gurney’s (1812-1895) New York City studio. Anna Maria Gregory (1834-1914) was the daughter of Dudley Sanford Gregory (1800-1874), a successful businessman and mayor of Jersey City, New Jersey. She married George Clarke, Jr. (1822-1889) in 1853. 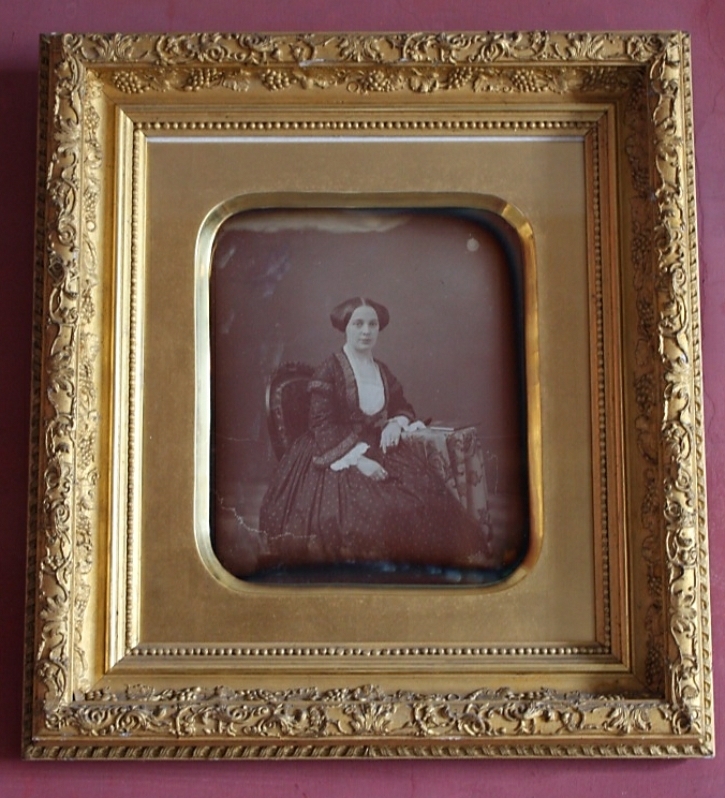 This pair of daguerreotypes in their original frames are thought to date from the time of their marriage.